Did you miss Part One? Go here to read how Piper and us scored Eleebana Reserve and Oak Flats Park. 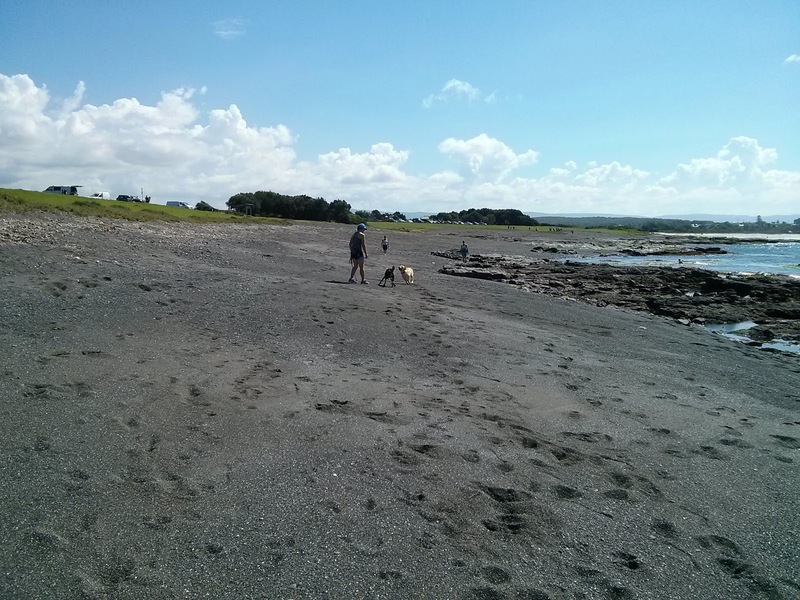 we visited in "Part One"
In this part, we are still in the Shellharbour area, looking at two very common and two very popular "off leash" areas. Do you have anything to add? 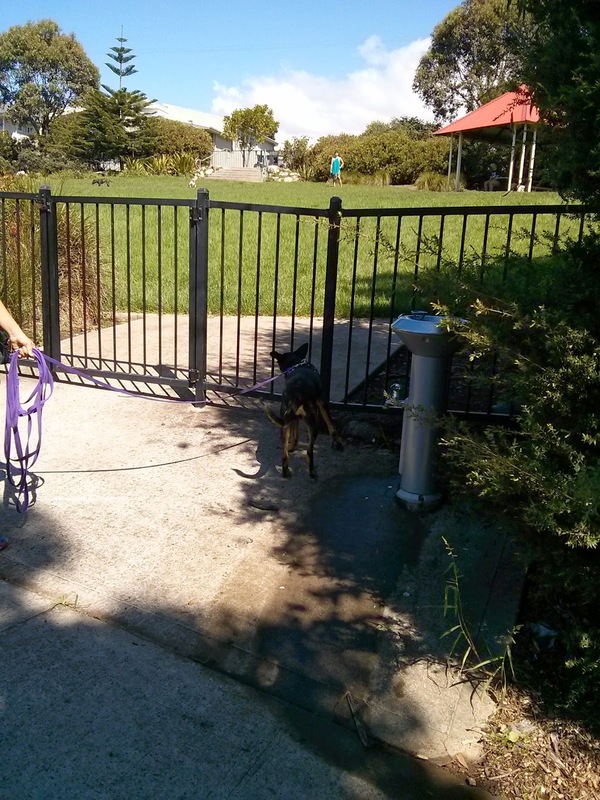 We would love to hear your thoughts on dogs and the areas that our councils provide for their "off leash" run around. Whilst I live in an older suburb (developed in the 1970's), and even with the newer subdivision within 500 m (with over 300 houses on it), my area is devoid of children play areas, and definitely, no open land where kids or dogs can play. Walking around my street would see children playing in the streets because they have nowhere else to play, so it should be as no surprise that there is nothing close by for our pets either. ( My family and I live in Mt Brown (near Dapto)). It is always sad when money speaks louder than the right thing to do. Wow! This area was such a pleasant surprise, that we stayed there the longest! This area is totally fenced off, and has three exits/entrances. 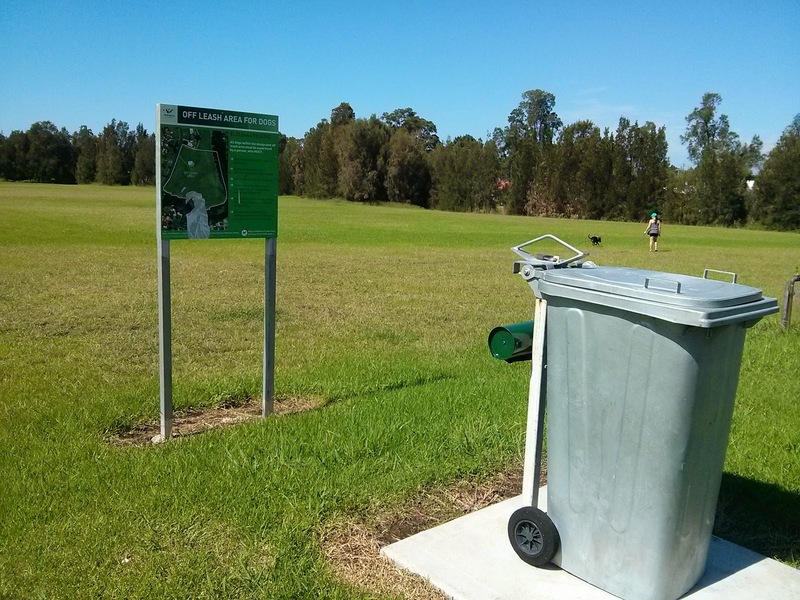 At each gate, was a bin, a bucket, water tap, and poop bags. Sadly, though, on the day we attended, all three poop bag dispensers were empty. The landscaped gardens around the edges allowed dogs to hide from other "bully" dogs, but the worry I would have, being so close to the fence is, it did make observation of dog interactions a wee bit harder. At one end there were a few dog agility activities, such as poles to weave through, some fences to jump, and a hole to jump through. But really, the fun was being able to run off the lead totally. We felt comfortable letting her off her leash, as the area was fully fenced. Finally, freedom to run, in the knowledge that she wasn't going to run onto a road, or into a creek. But, there was only one area to sit and read, so it didn't work well if there was already someone there. All poop dispensers were empty, and sadly for Piper, there were no mud puddles for her to jump into. 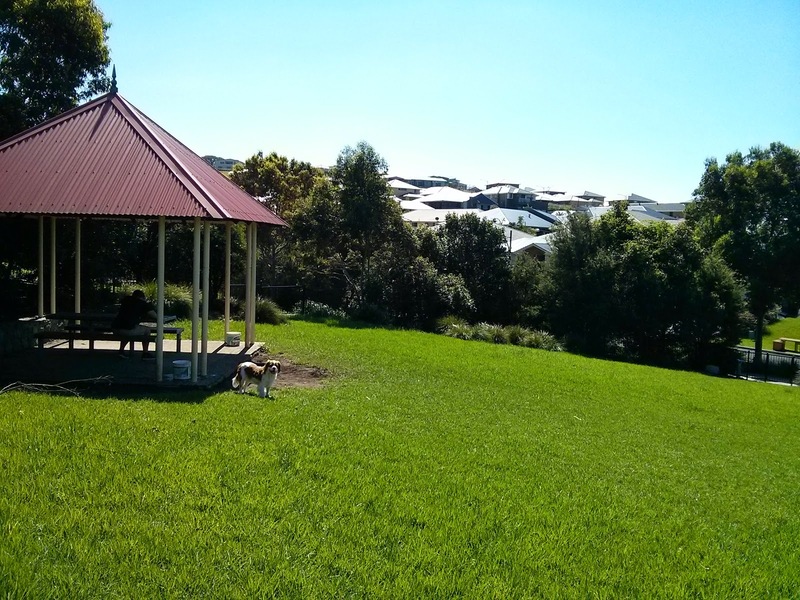 But is this a "dog park" or a "dog agility park" (as on the Shellharbour City Council website). Actually, it isn't. The gates are not ideal, the park corners are at 90 degrees, not at an angle, and there were no separate small and large dog areas. It is just a fenced "off leash area". Is this area worth the drive? For us, it was, and is. "I loved meeting Daisy - we were kindred spirits"
"It wasn't perfect, but had the potential to be a great spot to take your pet and family"
It is beautiful, but likely any location close to nature, there were problems too. There was plenty of parking, but it was a walk from the car park to the beach. And as it was a popular area, we were sure to run into quite a few other dogs too. The ones we did run into were friendly, but still not a great thing for one dog to run up to another at full pelt. We always try to encourage Piper to interact in a gentle way, but it is hard when other dogs go from zero to full steam! The beach has always been my favourite place when I was growing up. Watching and listening to the ocean is so peaceful, don't you think? 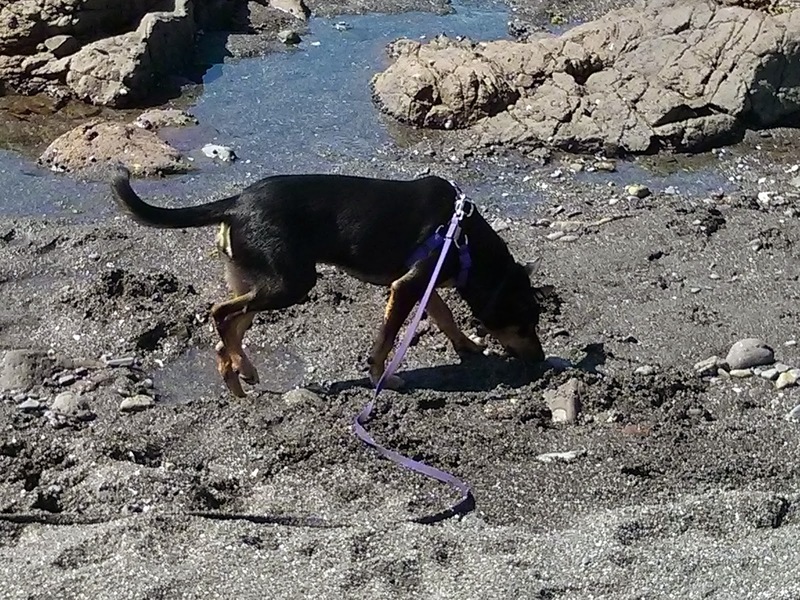 Obviously, no fences at the beach, and sadly, poop control is poor as some owners seem to think burying it as good as picking it up (it's not!). "I love the beach, and the rock pools, but the waves? not so much"
"The beach is always great fun - the sea breeze, the ocean, the rock pools always enjoyable." Do you have anything to add? Did I miss anything in assessing each area? I am Dr Liz, the mad vet from Bellambi, and owned by Piper (and four cats - Pusski, Dash, Pandora and George). Piper is our new family member, and she has taught me a lot about the services that are available for our pets in Wollongong.